The Universal Exposition held in Milan this year took as its theme “Feeding the Planet, Energy for Life.” From Slow Food’s perspective, no other subject could be more pertinent, no other challenge more important than ensuring that both people and the planet are nourished: feeding the planet sustainably, protecting natural resources, the social and economic well-being of producers and human health, while guaranteeing good, clean and fair food to all. That’s why in this edition of the Slow Food Almanac we wanted to try to respond to this challenge, telling the story of many great foods and the small-scale producers working in the fields, in artisanal workshops, in kitchens, up in mountain pastures or amidst the sea’s waves who are offering an alternative narrative to the multinationals, agroindustry and many governments and international institutions. It is thanks to their commitment and daily work that today we can answer that the food that feeds the planet is food that has a soul, a story, a profound link with the land. We would like to invite you to leaf through the Almanac and read the stories to find out about how many of these foods still exist around the world, and how they must be defended, promoted, protected. Produced and consumed with joy, at a table of awareness. 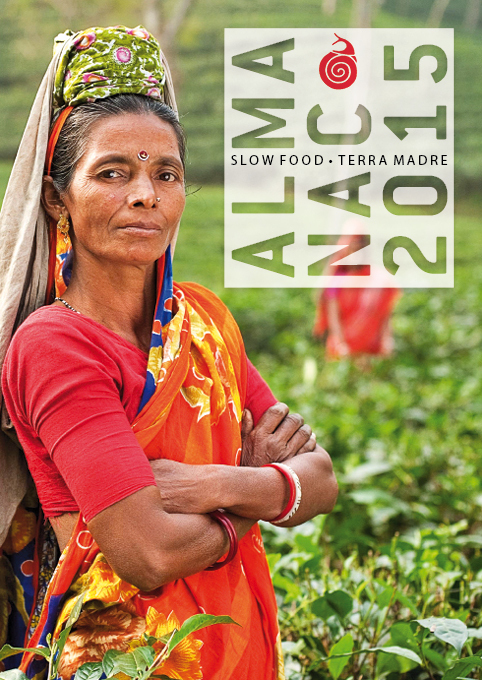 Click here to read the Slow Food Almanac.